Over the last three decades, Cellhire has successfully gained recognition as a global service provider specializing in wireless solutions. With over 100 mobile network partners worldwide, Cellhire is a supplier to organizers and business during events such as the Olympic Games and FIFA World Cup. During these 30 years, mobile phones have evolved from ‘the brick’, pocket sized flip and slide devices, to touchscreen handsets providing information, connectivity and entertainment. The Orbitel TPU 901 became the very first GSM phone to launch. As this was one of the first mobile advancements, Motorola, Ericsson and Nokia were soon to follow, bringing out their own GSM devices a few months later. 2G cellular telecom digital networks were launched in Finland, to support secure calling. 2G would soon be launched worldwide. Via the Vodafone network, on an Orbitel TPU 901, “Merry Christmas” was the very first SMS ever sent. The Nokia 2110 became the first Nokia handset to include a choice of ringtones including the ‘Grande Valse’, which would later become known as the Nokia ringtone. At the time, the 2110 was Nokia’s second GSM device and was the most desired handset in Europe. Orange branded the Nokia 2110 as the first Orange phone. In order to sell it to its customers as a different model, it became the Nokia 2140. Charged at $1,099, IBM’s Simon Personal Communicator became one of the first attempts at a touchscreen device. It was the first device lacking physical buttons, making it completely touchscreen. Ericsson invented Bluetooth in 1994, as a wireless communication technology. Ericsson, Nokia, IBM, Intel and Toshiba later came together in 1998 to form the Bluetooth Special Interest Group. Motorola’s StarTAC became the first flip phone, priced at $1,000. It is also the first device to include a vibrate alert function. The Siemens S10 became the first phone, made accessible to the public, to feature a colored screen. The Nokia 6110 gained popularity due to the preinstalled game of ‘Snake’. 3G telecom networks were launched commercially. The number of mobile phones sold worldwide surpassed the combined sales of cars and PCs. The first wireless Application Protocol devices are introduced. WAP allowed the Nokia 7110 to become the first device able to access the internet over a wireless network. Cellhire became a service provider for O2. The J-SHO4, launched by Sharp, was the world’s first camera phone, featuring 0.11 megapixels. However, the device was only available in Japan. The Mitsubishi Trium Eclipse came out as the first device with a full color display. FoneFix, a subsidiary company of Cellhire was established. The Sony Ericsson T68i sends the very first picture message via the T-Mobile network. The devices was not a camera phone but instead, users had to attach a separate file. This feature cost an extra £20 a month on contracts. The Nokia 7650 slider device was the very first, commercially available, camera phone featuring a 0.3 megapixel camera. Blackberry introduced their first phone, Blackberry 5810, as a corporate device. The device lacked speakers and required headphones to make a phone call. Motorola released the ultra-thin Razr, available in customizable colors. The device was a hit and over 110 million devices were sold. Cellhire gained the ‘Investors in People’ Award. Google purchased Android for $150 million. Cellhire was awarded the ‘Queens Award for International Enterprise’. Described as “5 years ahead” of its time, Apple unveiled the iPhone, equipped with an inbuilt iPod and a multi-touch interface. After just 74 days after its commercial launch, iPhone sales surpassed one million. Cellhire China Rep office opened. Apple introduced the iPhone 3G, this was alongside the launch of the App Store on Apple devices. The HTC Dream, the first commercially available smartphone running on Android, became available. Samsung released the first Galaxy phone with an Android OS, featuring a 5 megapixel camera and 8GB of storage. 4G telecom solutions were launched. WhatsApp is launched as an alternative to SMS messaging, relying on WiFi enabled devices. Apple launched FaceTime on the iPhone 4, a face to face video calling feature exclusively on iPhones. Apple unveiled Siri as a feature on the iPhone 4S, a voice activated personal assistant. Vismo, a subsidiary company of Cellhire was established. Cellhire was the Telefonica O2 partner at the London 2012 Olympics. Cellhire was awarded the ‘O2 Special Award for Innovation’. Facebook purchased WhatsApp for $19.3 billion. 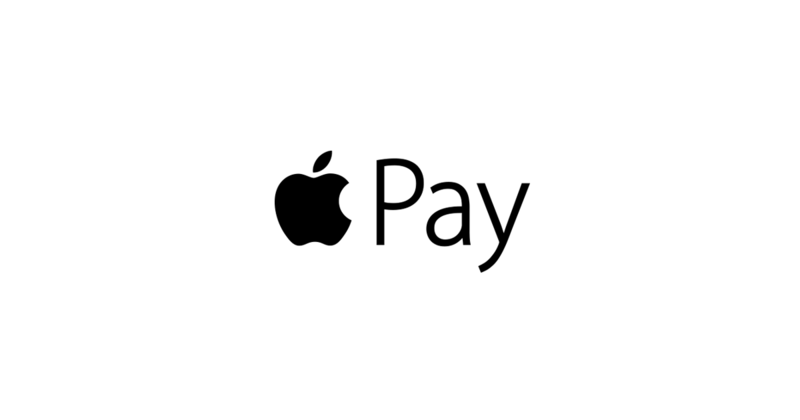 Apple announced Apple Pay as a feature on the iPhone 6, taking advantage of contactless payments. Google released its very first Google Assist Android Phone, The Google Pixel, intended to rival the iPhone 7. Wearable Smart technology such as the Apple Watch became increasingly popular. Cellhire gained a record achievement at the Rio Olympics, providing more than 20,000 connections to athletes, sponsors and press. Apple is set to release the iPhone 8, rumored to have an edge to edge OLED screen. Cellhire celebrates its 30th anniversary.